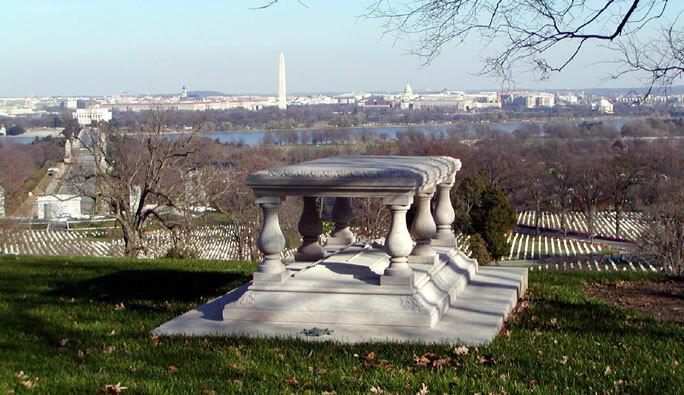 Pierre L'enfant is buried on a hill in Arlington Cemetery overlooking Memorial Bridge. 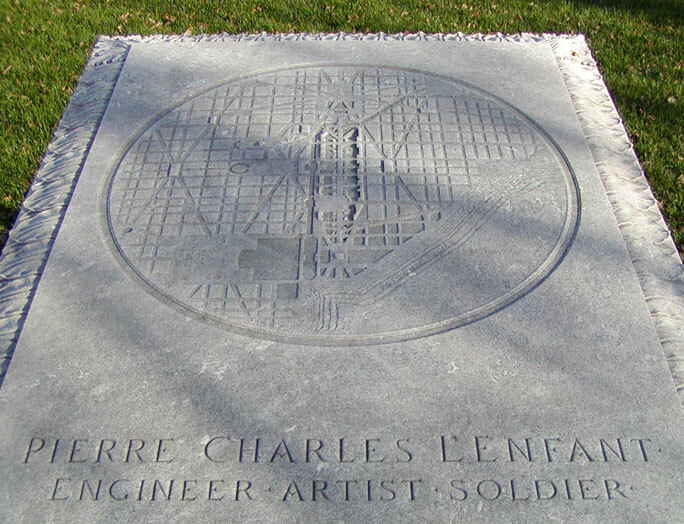 His original city plan is inscribed on the top of his gravestone. Memorial Bridge crosses the Potomac from Arlington to the Lincoln Memorial at an angle of 24° north of due east, matching the angle of New York Avenue (the diagonal line that crosses over the White House, going up from right to left on the left side of L'enfant's gravestone). As seen from L'enfant's gravesite, Benjamin Franklin's old post office and the clock tower on Pennsylvania Avenue is between the Lincoln Memorial and the Washington Monument, and the Capitol is between the Washington Monument and the Jefferson Memorial.